© 2010 by The Atlanta Journal-Constitution. (Click on the image above to read the relevant article on ajc.com.) 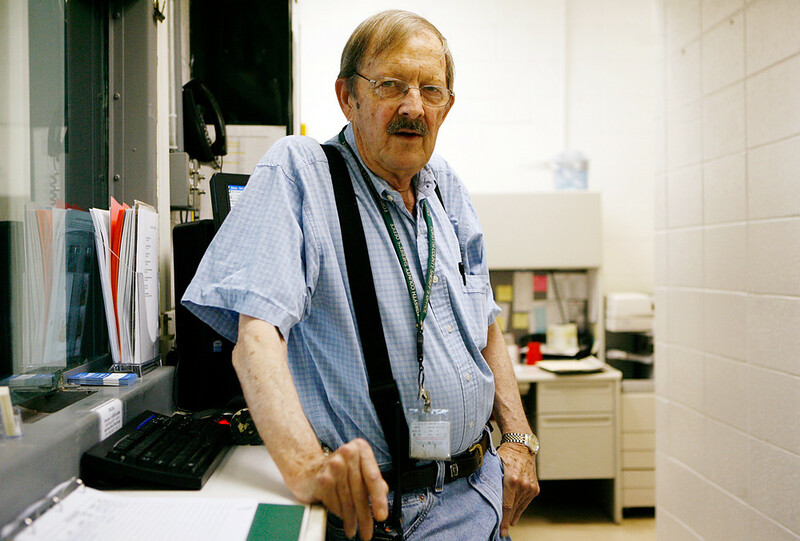 Forsyth County Jail volunteer Harold Adair leans on the front window desk on Monday, Aug. 9, 2010. Adair volunteers at the jail about 4-5 hours every day, and usually helps with administrative work. Harold moved to Forsyth County when he married his second (and current) wife. She told him to volunteer in the jail, since he didn’t know anyone in the area. Harold now knows all the staff and officers, as well as many of the inmates. And he’s a tough old cookie, too.